Byrdcliffe’s 5 by 7 Show is one of our premier events, exhibiting artists from the Hudson Valley region and beyond. Often called, “Everyone’s Favorite Little Show”, the small works are hung in Byrdcliffe’s Kleinert/James Center for the Arts. The works are exhibited anonymously andeach is sold for only $100. The opening night’s Preview Party is held in conjunction with the townwide Woodstock Open House. This is a major fundraising event for Byrdcliffe, and by purchasing one ore more fabulous small works you will help support our exhibition program. 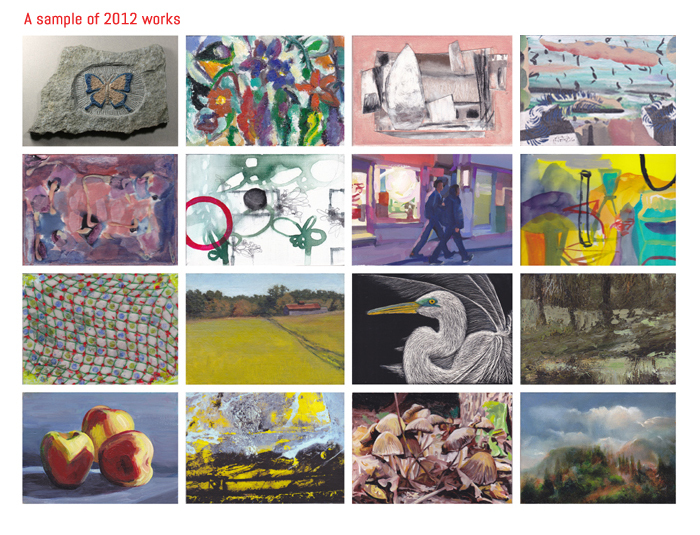 The 2012 Annual 5 by 7 Show is proudly sponsored by Karen and Les Walker, and Lotus Fine Art & Design. 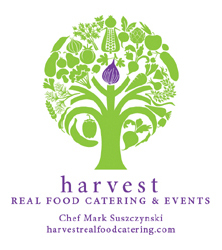 The food will this year be provided by Stone Ridge catering company Harvest Real Food Catering. Much has been made over the approach of “the end of the calendar”, set to take place on December 21, 2012, at least from a Mayan perspective. We cannot accurately predict what’s going to happen, if anything at all, until that date finally arrives. Will we ease into a new 26,000 year celestial cycle effortlessly? Or, will chaos, doomsday, and end of time predictions actually be realized? If we survive the arrival of 12-21-12, will consciousness change, as a result of being thrust into a new era? Will Nostradamus’s predictions come true, for a cosmic collision of catastrophic proportions? Is there any hope or future left? THE SKY IS FALLING! aims to explore hypothetical answers and commentary, serving as a cauldron, from the blasphemous to the reassuring, as we approach 12-21-12. 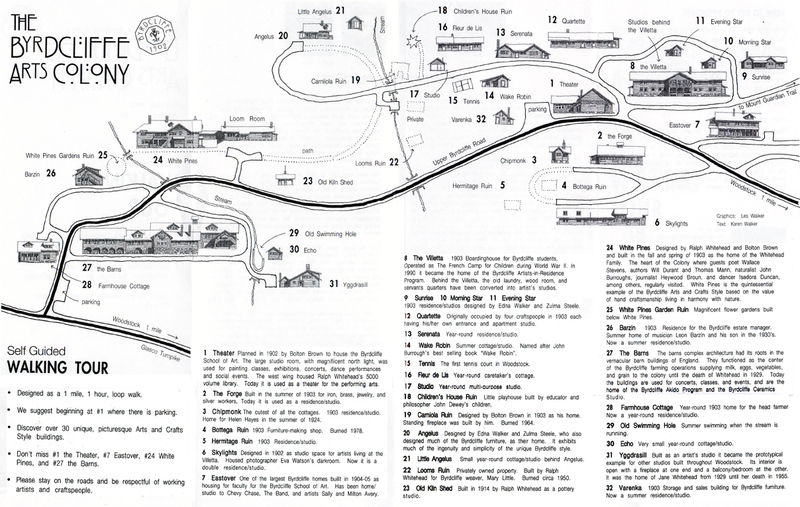 Curated by Alan Baer. 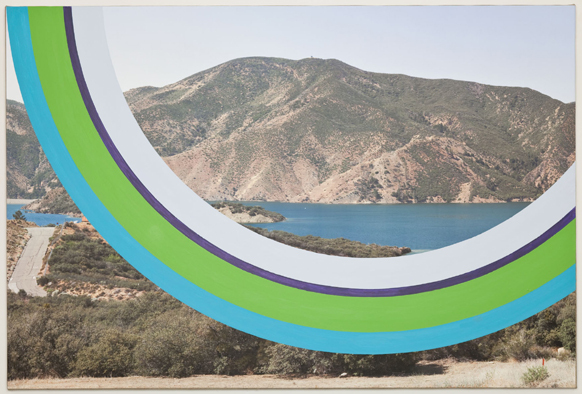 In this show a photographer — Lucas Blalock; a painter — James Hyde; and sculptor — Fabienne Lasserre will present works, which contain circular forms and/or fragments. Rather than symbol, ideal or icon, these artists employ the circle in practical and practised ways. Within each of the individual works, arcs and/or circles interrupt the regularized formats (of photography, painting and sculpture) to embrace exchanges of meanings much as we all do within a circle of friends. Curated by James Hyde. 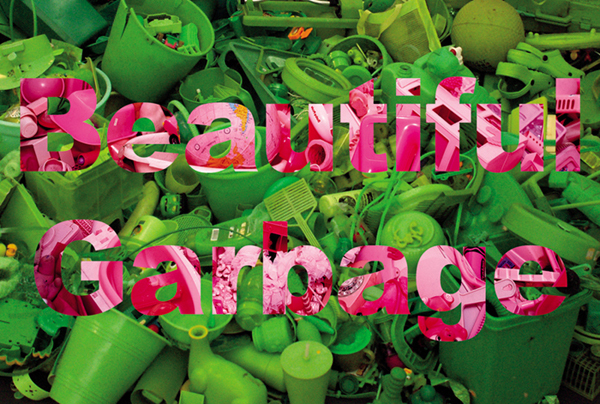 Beautiful Garbage is an exhibition of art made out of or directly inspired by garbage. Curated by Portia Munson. The artists in the exhibition are: Josh Blackwell, Tasha Depp, Amy Mahnick, Shari Mendelson, Christy Rupp, Ilene Sunshine, Kristen Wicklund. Click here to see some of their work. Read an article about the Beautiful Garbage exhibit and an interview with Portia Munson in the July 6 issue of the Almanac! 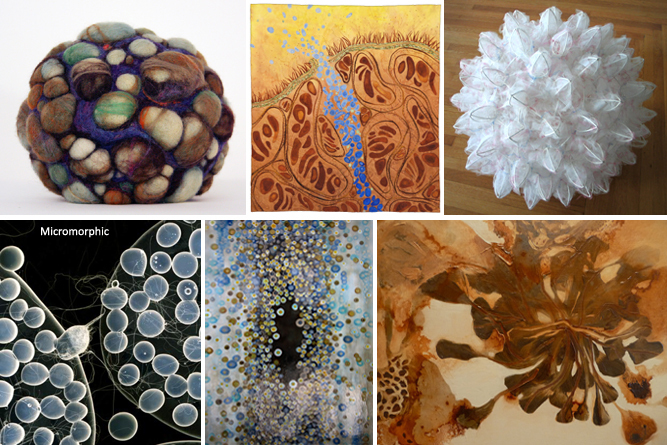 An exhibition of 6 artists whose work explores similar shapes and subject matter, focusing on biomorphic forms. Curated by Laura Gurton. The artists in the exhibition are: Jen Bradford, Jodi Colella, Laura Gurton, Constance Jacobson, Karen Kamenetzky, Susan Spencer Crowe. 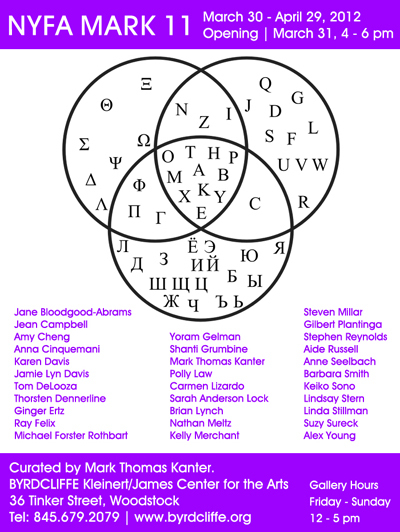 Curated by Mark Thomas Kanter. An exhibition of 29 pre-selected artists from disparate disciplines, presents an intrinsic problem to the curator: how to find coherence amongst widely differing work? In the case of this group exhibition from the artist-participants in the New York Foundation for The Arts’ “MARK 2011-Woodstock” program, a show which includes Painting, Sculpture, Printmaking, Photography, Video and Installation, it was easy. What ties these distinctive artists together is the remarkably deep involvement each clearly has with their own artistic process, and the high level of discovery each has made through an intrepid exploration of their particular medium. 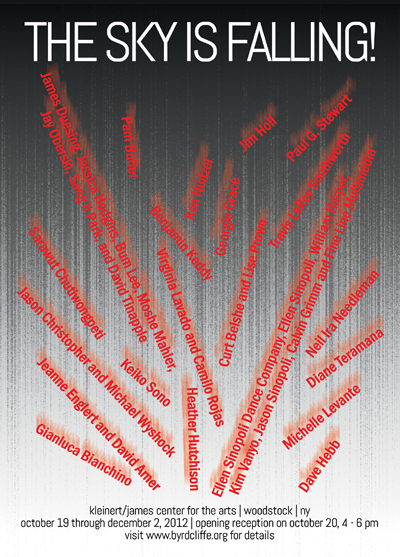 The artists in the exhibition are: Jane Bloodgood-Abrams, Jean Campbell, Amy Cheng, Anna Cinquemani, Karen Davis, Tom DeLooza, Thorsten Dennerline, Ray Felix, Michael Forster Rothbart, Yoram Gelman, Shanti Grumbine, Mark Thomas Kanter, Polly Law, Carmen Lizardo, Sarah Anderson Lock, Brian Lynch, Nathan Meltz, Kelly Merchant, Steven Millar, Gilbert Plantinga, Stephen Reynolds, Aide Russell, Anne Seelbach, Barbara Smith, Keiko Sono, Lindsay Stern, Linda Stillman, Suzy Sureck, Alex Young. Woodstock Byrdcliffe Guild’s annual eclectic exhibition, showcasing the inspiring work of our artist members, in all media and methods. Curated by Heather Hutchison and Katharine Umsted.